What kinds of artwork and maps can I use in my Storytellers Vault titles? Art and maps provided by White Wolf.The art you find in the Resources for Storytellers Vault category is owned by White Wolf and can be freely used for Storytellers Vault community content products only. It is not licensed for usage outside of the Storytellers Vault program. No other artwork from White Wolf titles can be used without express written permission from White Wolf — only the art specifically released in Art Packs for Storytellers Vault Creators. Content Creators found to be in violation of these art usage polices are subject to immediate removal from the program. Art released by White Wolf should try to remain as brand specific as possible and should be used in association with its specific overarching brand of products to the best of the content creator’s ability. For example; Exalted art packs should try to primarily be used for Exalted and World of Darkness art packs should primarily be used for World of Darkness etc. However, if necessary, art assets can be used across game and brand lines as long as the art in question is not easily identifiable as being very specific to a particular brand or game. (For example: a generic sword or location would be ok, whereas a clan, sect or covenant symbol would not be.) White Wolf reserves the right to restrict usage of and/or remove art from the program as it deems appropriate at any time. Public Domain Art.Art that you are certain is in the public domain can be used. Stock Art.Usage of stock art depends on the license associated with that stock art. 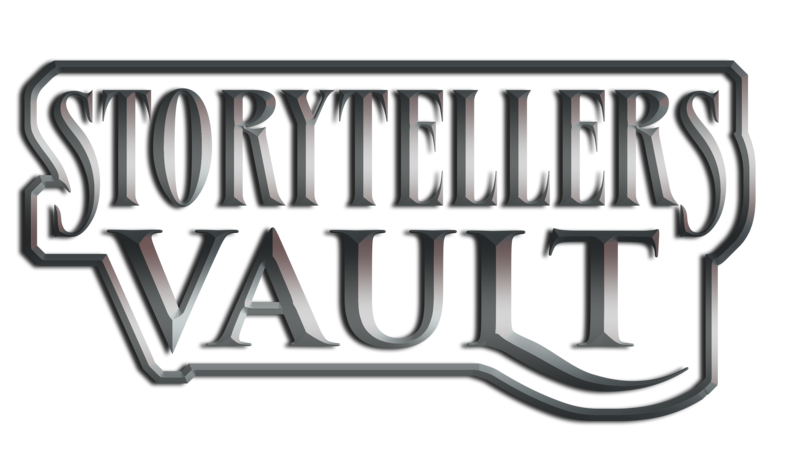 Most of the stock art sold under the Publisher Resources category on DriveThruRPG includes a license that would allow it to be used in your Storytellers Vault titles. Commissioned Art.Usage of art that you commission from an artist depends upon your terms with the artist. You must have the rights or license to use the art in your title. The artwork does not become owned by OneBookShelf or by White Wolf; you simply must have rights to use it in your commercial work. Creative Commons.This depends on the type of Creative Commons license. Some allow commercial use, others do not.